An old home means old bones, and for you as a homeowner, that translates to a laundry list of repairs. Your older home doesn’t mean it wasn’t built with integrity, it just means that the house has been sitting around long enough to be exposed to the elements of natural aging, especially if the former owners failed to regularly maintain it. Things like moisture in combination with neglect can be blamed for much of the issues that these older homes face and are the reason behind how many of your home improvement project wind up on your to-do list. Some projects are obvious—others, not so much. 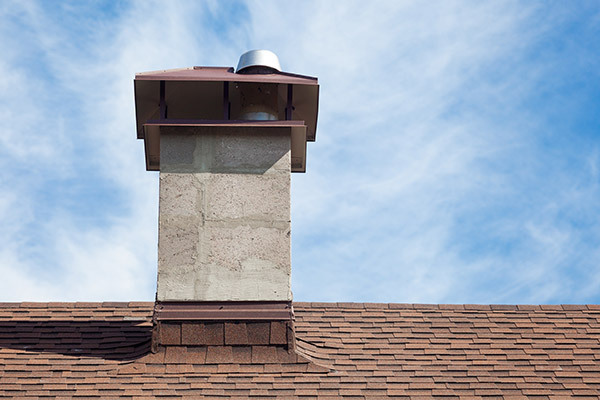 One feature a novice homeowner overlooks when moving into an older home is the chimney. Chimneys, if you aren’t used to having one or a working fireplace can be forgotten in the mix of other house projects vying for your attention, but the safety of your home is reliant on the upkeep and maintenance of the chimney, and ignoring this fact could lead to serious and endangering hazards. “Old” is a relative term, but for American homes, it refers to homes built more than sixty years ago. That’s enough time to pass where these common safety problems with chimneys can be a cause for concern. As time goes on, so does the need to keep up with it, and in the realm of home improvement, this means more advanced technology that empowers our lifestyles, devices, and comfort in this modern world. You move into an older home and realize that though the chimney is a gorgeous feat of masonry, it doesn’t have a liner. You think it’s okay, especially if the chimney has been working all along, but you’d be wrong. A chimney liner is a key piece of a chimney and without it you are inviting hazards into your home. Every time you light your fireplace and use your chimney, warmth, a lovely glow from the fire, and the highly flammable by-product, creosote, and soot deposits, too. It’s the price we pay for bringing fire into our homes to enjoy, and isn’t a problem for chimneys that are regularly cleaned, inspected, and of course, have a chimney liner. When there is a presence of creosote, it only takes a spark to ignite it, which can start a dangerous chimney fire. Chimney fires are a serious safety problem in any chimneys, whether your home is old or new. They can happen when there’s enough creosote stuck to the inner walls of the chimney, then introduced to a high flue temperature. There’s no telling if your chimney will experience a slow-burning chimney fire, where there isn’t enough air or creosote fuel to cause visible exterior damage, or if the chimney fire will erupt, engulfing the home in flames because of intensely high temperatures. Not having a chimney liner can lead to an uncontained chimney fire, but the lack of liner will further expose any gaps in the chimney’s masonry, which if near any combustible by-products will put the chimney structure at risk for a fire, too. The absence of the liner will also increase the chance of exposure to carbon monoxide and other toxic fumes. These gases are deadly and can be difficult to detect if you don’t have a carbon monoxide sensor. One aspect of home construction that has decidedly remained superior through time is brick construction. Bricks that were manufactured and laid in the 1600s through the 1800s were highly durable and far exceeded the quality of most of the bricks we use today. But even with their resistance to the outer elements, bricks this old will slip out of place due to the deterioration of mortar, causing the chimney to lean. Masonry deteriorates not because of its original quality of construction, but because of the simple fact that the ground the home is built on shifts over time. There’s nothing we can do as homeowners (or as people) when it comes to preventing the natural movement of the earth, but luckily homebuilders discovered long ago how to construct homes that are able to accommodate for the shifting soil. There’s only so much the structure of a house can put up with, and eventually, in combination with moisture, outside elements, and the sheer passage of time, structures deteriorate. The safety hazard here is that chimneys with this issue in an old home can collapse and it’s best not to take that chance if you can avoid it. Fortunately, there’s a solution to a leaning and deteriorated chimney, and that’s called tuckpointing. Tuckpointing breathes new life into your chimney’s structure, restoring its original shape, reinforcing it, and giving it an overall appealing aesthetic. While more advanced do-it-yourselfers with experience in masonry can indeed tackle a tuckpointing or re-pointing project, it’s a much better—and safer—idea to leave it to a professional. Even the majority of first-time homeowners can recognize the dangers of moisture. It’s what causes stains on the walls, the bubbling of paint or crinkled look of wallpaper, the warping of floors, the weakening of the home’s structure, and mold. All of these problems are due to water damage and when moisture hangs around for far too long. 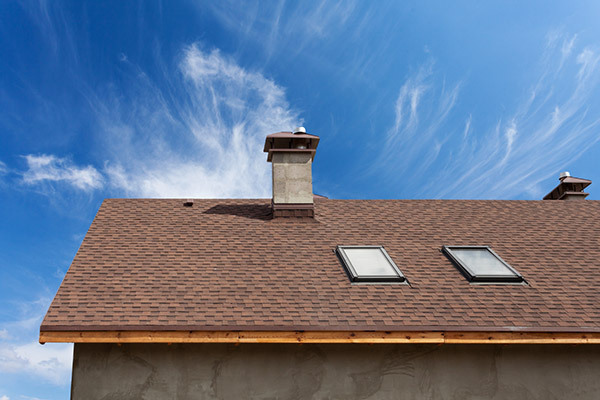 Your older home’s chimney isn’t immune to moisture. If you don’t have a chimney crown and chimney cap or if they aren’t in good condition, you are inviting moisture in through the stack. With the dark, damp environment in the interior of the chimney, mold can form, spread, and grow at will. You might begin noticing mold at the bottom of the chimney in the fireplace, or on the surround. The best approach in dealing with mold is to hire a professional chimney sweep to clean your chimney and inspect it. 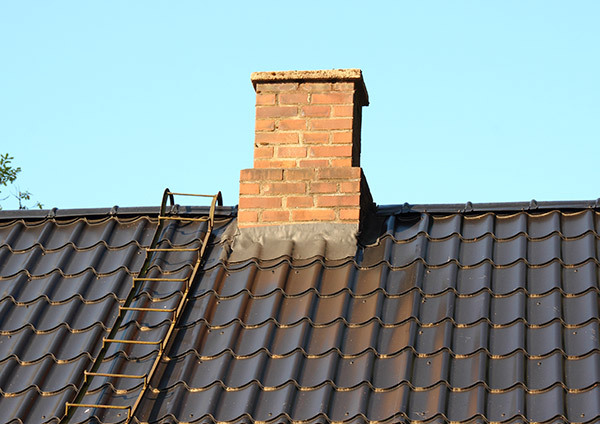 A professional chimney sweep can let you know what you need to do to prevent the mold problem in the future, like by having your chimney crown repaired or by replacing the cap to keep moisture out. There’s a reason why we still have professional chimney sweeps actively maintaining and inspecting chimneys in our modern day. It’s because that even though technology has improved much of our household components and lifestyles, the chimneys still require a personal touch to keep them well-maintained and operational, otherwise, safety problems can quickly arise, and some, like carbon monoxide and creosote, are deadly. You should have an annual chimney inspection. Chimneys have inner workings that cannot be visibly seen from the outside and only a professional inspector can inform you if there are potential issues on the interior of the chimney. An older home with a chimney missing a flue liner or animals taking nesting material inside the chimney are common safety concerns that a chimney sweep will be able to take note of and resolve. After you have your chimney inspected, sign yourself up for the next one so it doesn’t fall by the wayside. Chimney neglect is a slippery slope, and as an owner of an older home, you know that it can be easy to ignore the maintenance of a chimney, but difficult to jump back into regular upkeep once time has gotten the best of it. The best course of action to take when it comes to chimney care and maintenance is to hire professionals. There’s no one like Early Times to inspect your chimney and completely remove any debris, soot, and creosote from the interior of your chimney. Speak to a specialist and get a free quote online today.